The Internet has been buzzing about Selena Gomez's music video for her song "The Heart Wants What It Wants." Every bit of it was analyzed from the lyrics, to her crying, to what it could indicate about her status with Justin Bieber. So, of course, people noticed her very attractive video costar Shiloh Fernandez. Everyone on Twitter was asking "Who's the guy in the Selena Gomez music video?" And now that we all know that the guy is Shiloh Fernandez, we want to know everything about him. 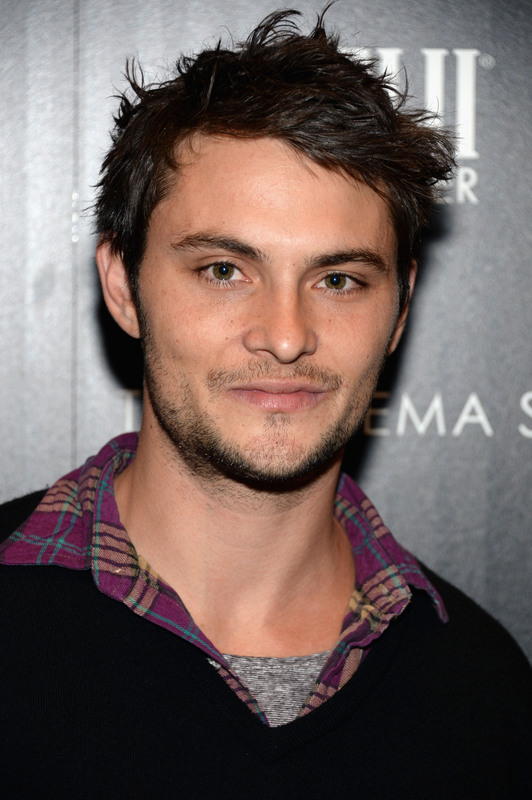 Most importantly, the people need to know about his romantic status: Is Shiloh Fernandez single? If so, is he trying to stay single? Is he actively looking? Do the fans have a chance? First up, his rumored relationship with Shailene Woodley. Fernandez and Woodley played love interests in the movie White Blizzard and this caused rumors of the two having a romance off-screen. There was gossip about the two actors dancing and making out in a club in January 2013. When asked about the possibility of romance in a 2014 Marie Claire interview, Woodley laughed it off saying, "Oh, no, God! Shiloh’s my buddy. You take a picture with somebody and all of a sudden you’re dating. That’s so funny." You could say that the two are just being coy, but without a confirmation of a relationship, you can also just assume there isn't one. Before this, it was rumored that Fernandez dated actress Juno Temple from 2007 to 2010. There was never a confirmation of this so I am just going to pretend that he's never dated anyone ever. But then there was this photo shoot where the two looked totally into each other and couple-like. I can sense some chemistry in the images, but maybe they are just good actors? You can check out the shoot and judge for yourself. I assume you'll just do what I did though and pretend that the romantic gazes are solely for the photos. After I convinced myself that even with these rumors that he has never dated anyone ever, I found out that this was not the case. Yes, my originally biased conclusion was ridiculous, but I had hope. He talked about his high school girlfriend in an old Indie London interview. But, I mean, that was high school, so with Fernandez being 29 now, it doesn't mean anything about his current romantic status. Next up, I checked out the actor's social media accounts. Fernandez is not the most active on social media. But then again, how many guys are? Not everyone posts selfies with their girlfriend and throws some emojis in the caption. Nevertheless, there are only two photos with women on his Instagram. One is a group photo, so, obviously, that doesn't count, and the other is a screen shot from the Selena Gomez music video. On top of that, the only thing in his photos and videos section on Twitter is the YouTube link to the music video. So, looks like there is no evidence that he is in a relationship. Therefore, I am going to conclude that he is (probably) single. But if the intrigue continues, I don't think he will be able to stay so elusive for long.